Gallery walls are the perfect design element to add to your home or office decor. They can help add extra patterns, colors, and personality to an otherwise boring wall. 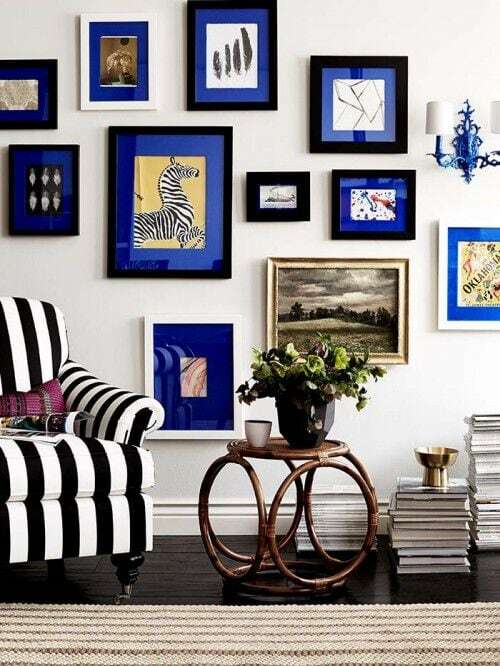 When done correctly, a gallery wall can incorporate your personal style and showcase some of your favorite pieces. Interior design can be complicated for those who are less artistic, especially when it comes to creating an entire collage from scratch. 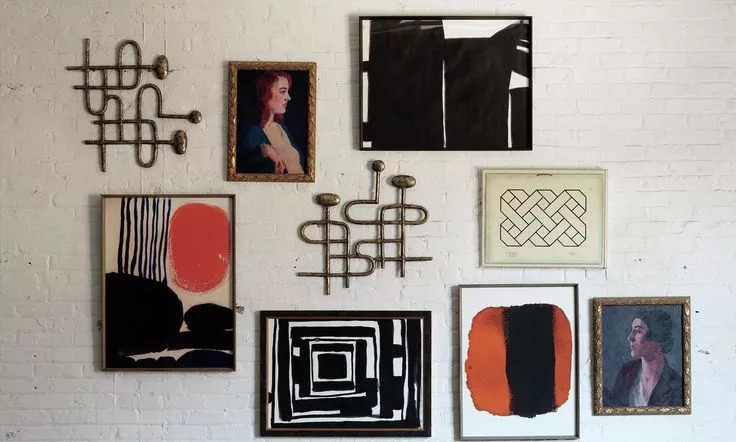 We consulted some of our interior design experts at Hipsthetic and have created the perfect guide on how to properly design and space a wall gallery that reflects your style. Your wall gallery should have a cohesive flow and appear visually pleasing. Choose a color palette that works well with your decor and try to stick with it as you design the collage. Be sure that the colors you choose to use in your gallery wall are also colors that are used in throughout the room. 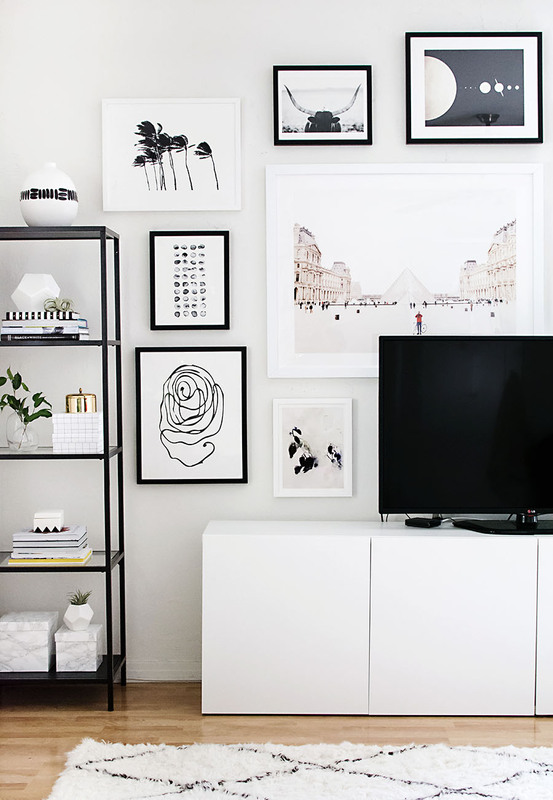 You may want your gallery wall to be the focal point of your room, but you don’t want it to feel out of place. A gallery that does not feel fluid can be an eyesore. Stick to three of four colors and run with it. 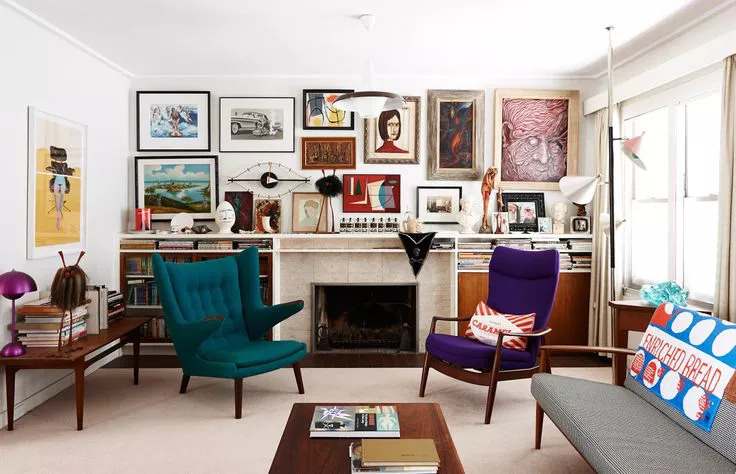 If you’re feeling crazy, Shelterness provides a great example of how to tie in patterns with a gallery wall and your room decor. When you have the pieces you want to use for your creation, it is best to plan it out on the floor first. Don’t just start hanging pieces up without planning a pattern or design. This will lead to frustration and unnecessary holes in your wall. Start with the biggest piece you have and work around it. Plan a loose shape that you want all of your pieces to form. Play with different ideas and arrangements, there are no rules! We suggest having each piece 2-3 inches apart to keep your gallery from looking chaotic. 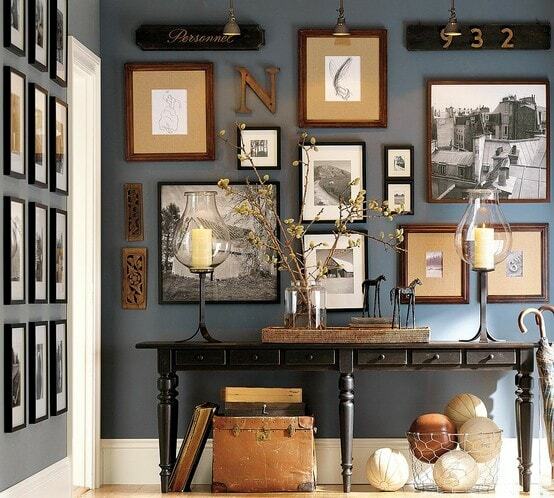 A gallery wall can begin to look unorganized and unattractive if not planned accordingly. 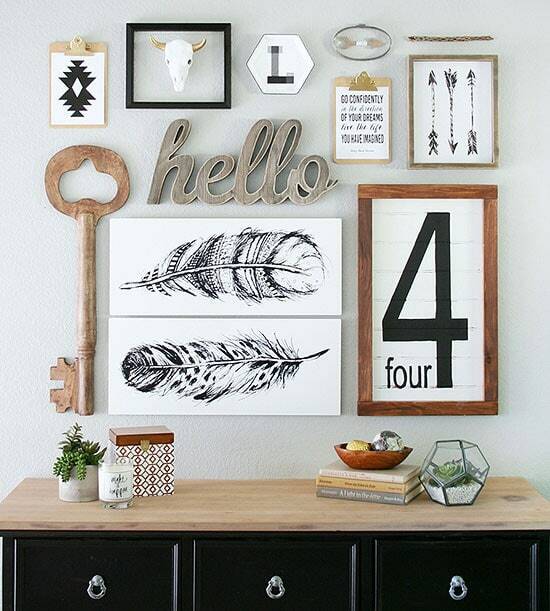 Using similarly styled frames can help eliminate a cluttered look. We suggest framing the pieces you choose with frames that are the same color and shape. This will create a clean collage that will still stand out. You can choose to have all of your pieces the same size for a more modern feel, like Uttermost’s gallery wall. If you are going for a more eclectic design, use different frames but try to stick to the color scheme. 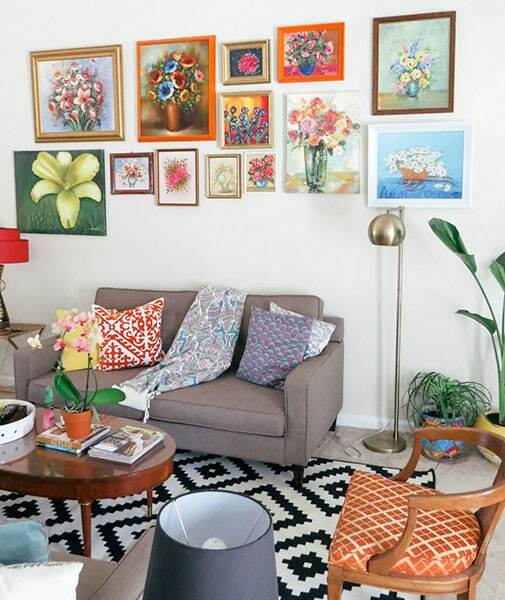 You do not have to stick to a gallery wall that is strictly prints, paintings, or photographs. Using a variety of mediums will allow you to really showcase your personality. Incorporate wall hangings, shelves, sculptures, and any other pieces you like in your arrangement. Think outside of the box. We are talking wall hangings, sculptures, and even plates! Remember, space everything out appropriately and stick with a common theme or color. Check out more of our favorite wall galleries that perfectly incorporate a variety of mediums.